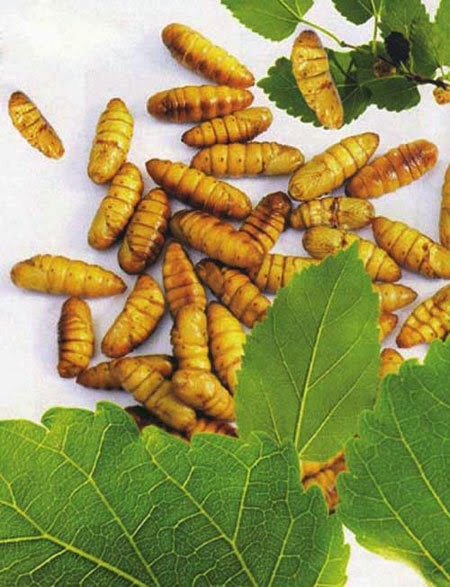 The silkworm is the larva or caterpillar of the domesticated silkmoth, Bombyx sp. 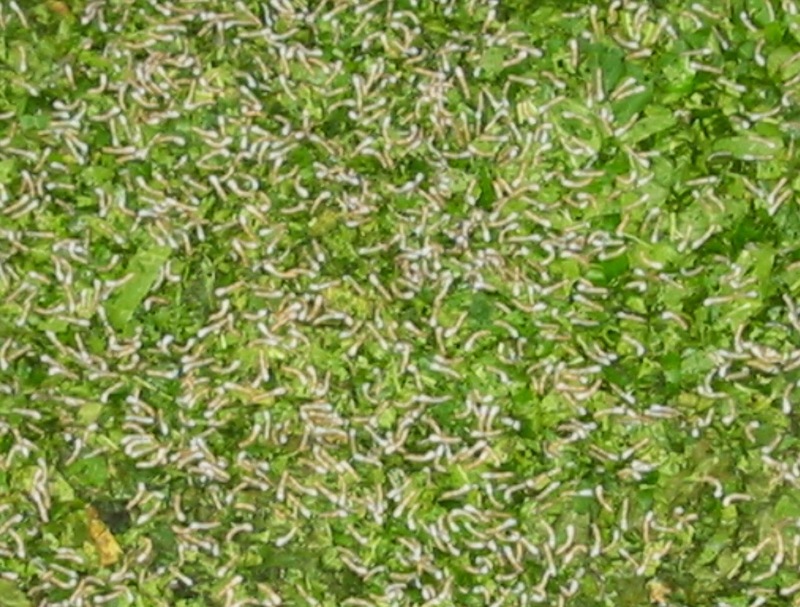 belong to Bombycidae family, Lepidoptera order. 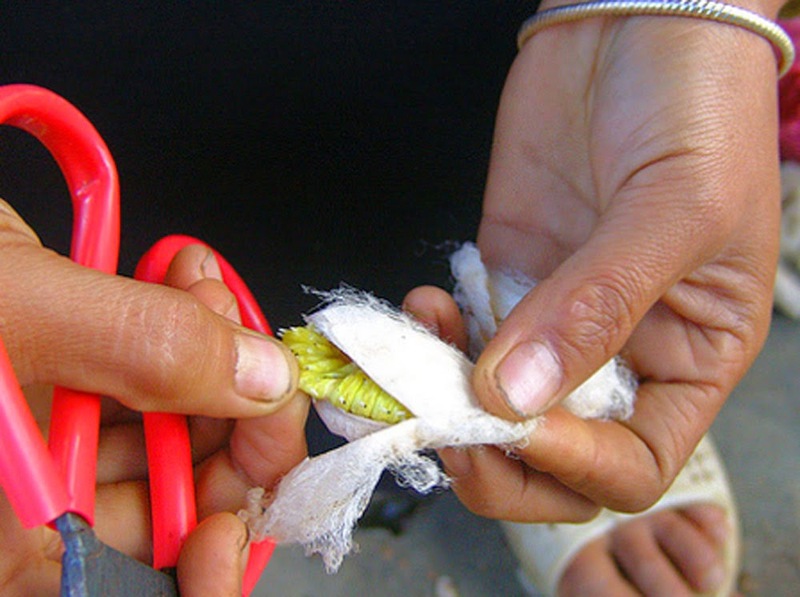 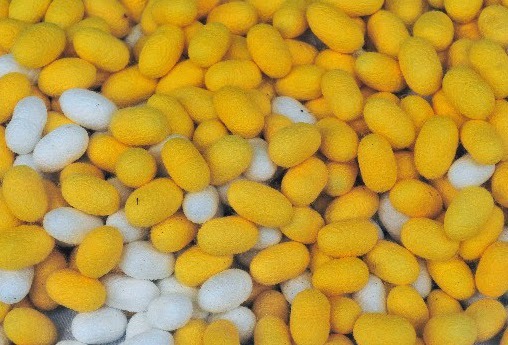 It is an economically important insect of Vietnam in the past as well as now a day, being a primary producer of silk. 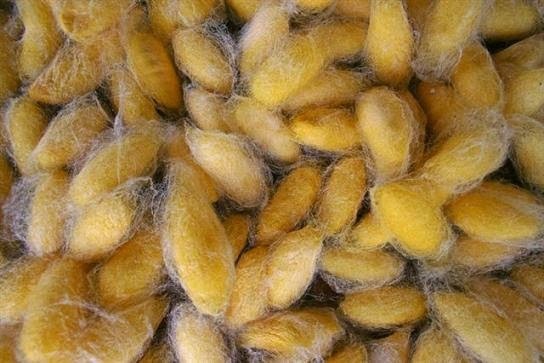 Many villages in North Vietnam were famous with raising silkworms and harvesting cocoons, they feed the silkworms with mulberry leaves. 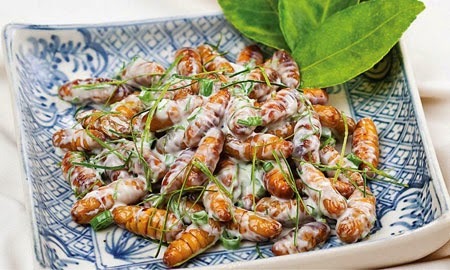 In Vietnam, you can easy to find and buy pupa of silkworm in any local market, and it is one of the most common insect food in Vietnam. 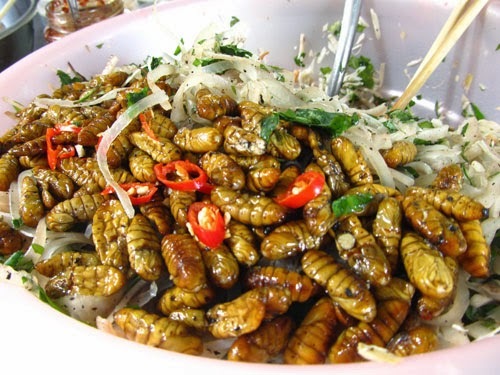 It known as a high protein food with very tasty and famous. 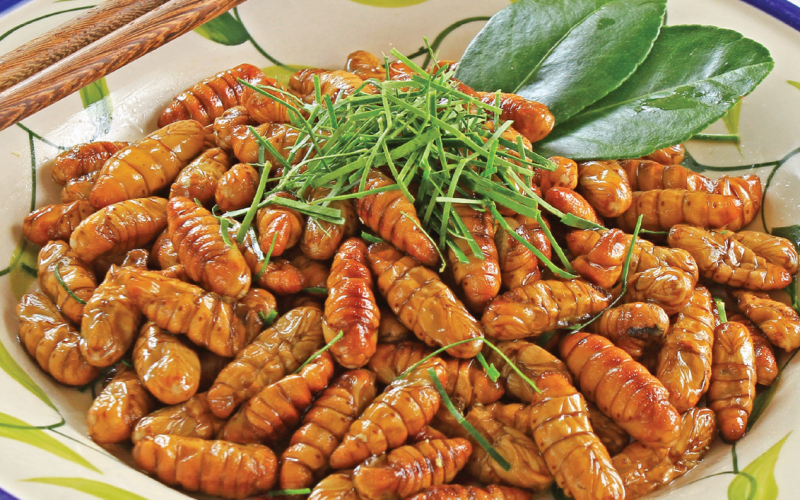 The silkmoth pupae will be fried with lemon and onion leaves, sometime they add pepper and chilies. 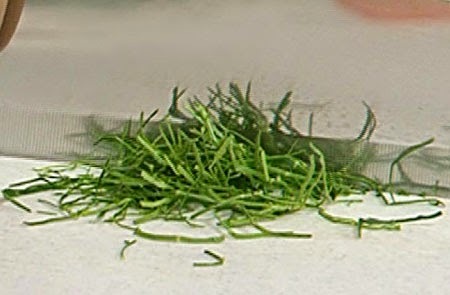 Lemongrass also can be added as an option. 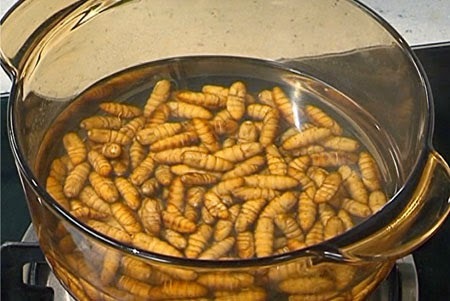 Fish sauce never lack as frying silkmoth pupae. 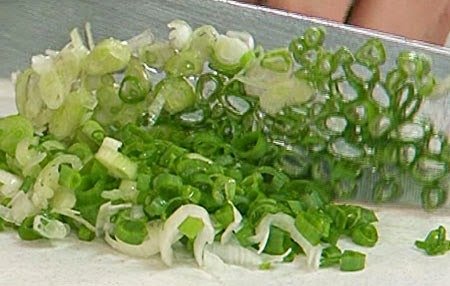 And today, in some Vietnamese families, they can make them with mayonnaise.